Fish Hawk X4, Technology to Improve your Fishing! Salmon fishing on the big water has many facets to it and it can be quite an experience just trying to dig through all the information that is out there about fishing the big water. Today there are so many different options out there for the fisherman you can easily get yourself into a spin just trying to pick out a particular spoon or plug to run. The variety of rods, reels, baits, techniques and electronics is so vast that your options are endless. Over the next few weeks I am going to touch on some items that are beneficial to the small boat angler. We will talk about ways to get your bait to where the fish are, what lines to use, using your sonar, and then some safety items. Right now I would like to talk about and invaluable object that will be an addition to my arsenal this year. Everyone knows that your trolling speed as well as water temperature can mean the difference if you are catching fish or not. Someday your speed is key to getting bit or not. Most of the time we are going off of our GPS for the SOG (Speed Over Ground) as well as the surface temperature that our electronics are showing us. This can be misleading because often times we are dealing with underwater currents and temperature changes that can affect the way our presentations are being utilized. The best way to dial in your presentation is with the use of an underwater probe that runs at the ball on your downrigger. There are a few manufactures of such probes out there, but most of them require special coated wire on your downrigger and cumbersome probes. The one I have been investigating and will be adding to my small boat this year is the Fish Hawk X4 system. This is a wireless system the uses a sonar signal to communicate with the probe that is attached at the rigger ball. This system is using advanced technology to help the fisherman optimize their spread and dial in their presentations. With the large bright screen you can see this easily from the rear of the boat and it provides you with immediate feedback of what the probe is seeing down at your downrigger ball. The X4’s proven reliability and wireless technology, make it the number #1 speed and temp system on the market today! Its the most advanced downrigger data system ever developed. This complete system includes: the X4 Trolling Probe with InvisiTroll Technology, Magnum Digit Display with mount, transducer with bracket, power cable, and cannonball safety cable. This is the system trollers coast to coast are talking about! Works with any downrigger cable including superbraids, coated cable not needed! The probe is smaller than many out there and is constructed of a leak proof and sealed electronic circuits. This new system is going to change the way I fish this year and I know that anyone who fishes the great lakes for salmon would benefit from the use of this product. Just knowing how fast my baits are running at a given depth as well as where the temperature breaks in the water are will certainly improve my catch ration immensely. Stay tuned and I’ll be showing a step-by-step on how the install of this product and how easy it is to set-up and run. We will also be talking more about Deeper Divers and how useful they are proven to be when fishing from a small boat. 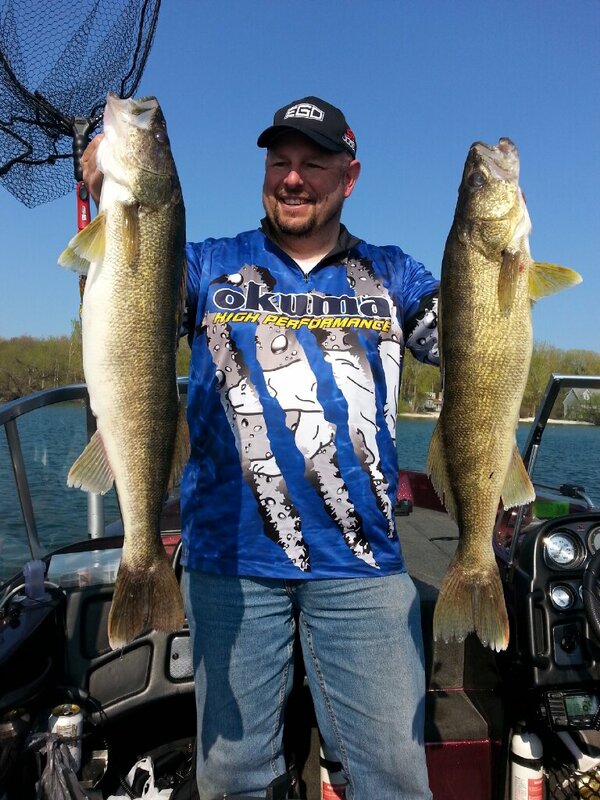 It may be winter, but that certainly doesn’t mean we need to stop thinking about open water fishing. Now is the time to prepare for the coming season and it is time to talk about new products, techniques and any other new items related to open water trolling.